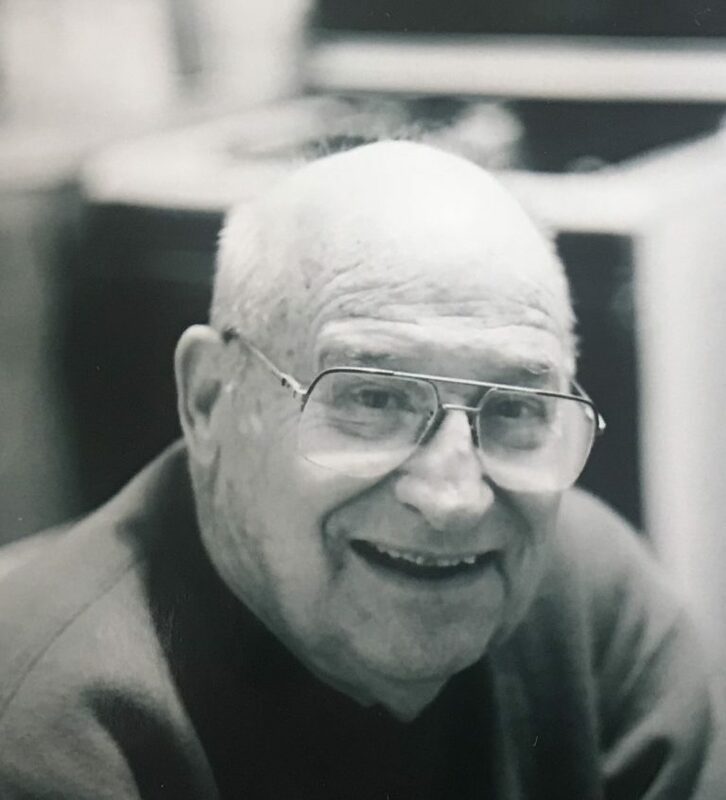 Blessed Sacrament Church 2409 Dixie Hwy Ft. Mitchell, KY 41017 April 18, 2 p.m.
Joseph Edward Merten, beloved husband of 57 years to the late Maureen (nee Glenn) Merten, died at his home of 50 years on April 12, 2018, at the age of 90. Joe is survived by his children, Mary Anne (John) Walcutt, Catherine Clabough, Elizabeth (David) Wilmhoff, Joseph G. Merten, and Molly (Michael) Lippert, and his grandchildren, Madeline and Grace Clabough and Anna and Nevan Wilmhoff. Joe is also survived by his siblings, Robert (Bertha) Merten, Ronald (Maria) Merten, and Virginia (Theodore) Fries, and sister-in-law, Bernice Merten, and many other relatives and friends. He was preceded in death by his parents Aaron and Ruth (nee Barron) Merten and his siblings, Mary Ohlhaut and Barron Merten. After serving his country as a member of the U.S. Marine Corps, Joe obtained his degree in Economics from Xavier University and spent 35 years as a pharmaceutical sales representative. He served the City of Lakeside Park as both a City Councilman and Vice Mayor. He was an avid photographer and lifelong cultivator of succulents, especially his beloved cacti. Words cannot express how much we will miss his love, kindness and humor. Visitation will be on Tuesday, April 17, 2018, from 5 pm until 8 pm at Linneman Funeral Home in Erlanger, KY. A Mass of the Christian Burial will be on Wednesday, April 18, 2018, at 10 am, at Blessed Sacrament Church in Ft. Mitchell, KY. Interment will be at St. Mary Cemetery in Ft. Mitchell, KY. Memorial contributions to: Blessed Sacrament School, 2407 Dixie Hwy., Ft. Mitchell, KY 41017, St. Xavier Catholic Church, 611 Sycamore St., Cincinnati, OH 45202, or Bluegrass Care Navigators, 2312 Alexandria Dr., Lexington, KY 40504.